Florida State hasn’t typically been known for producing basketball talent, especially with one of the greatest football programs in the nation right down the street. Still, the Seminoles have had 42 players drafted in the NBA since 1962. While that number doesn’t compare to how many players blue blood programs like Kentucky (103) and North Carolina (81) have had drafted, it is still impressive for a school that has to go up against these powers to put out that kind of talent. Currently, former FSU stars Malik Beasley and Okaro White represent the ‘Noles in the NBA. They could soon be joined by the likes of Jonathan Isaac, Dwayne Bacon, Xavier Rathan-Mayes, and Michael Ojo. However, despite Florida State’s small sum of players that are presently in the NBA, a lot of former ‘Noles are quietly having success abroad. We’ll take a look at how each former FSU player is doing in their respective league around the world. Beasley signed with Florida State in the 2015 recruiting class alongside Dwayne Bacon and Terance Mann. He averaged 15.6 points and 5.3 rebounds per game while shooting 38.7% from deep. Beasley’s season culminated with him being named to the All-ACC Freshmen team. After his stellar freshman year, Beasley elected to declare for the NBA Draft. He was selected by the Denver Nuggets with the 19th pick in the 2016 Draft. Beasley spent time in between Denver and in the G-League. He appeared in 22 games for the Nuggets with one start but showed a lot of promise during the final two games of the season. Beasley averaged 16.5 points, 4 rebounds, 2.5 assists and 1.5 steals over those two games. He’ll have a chance to earn a spot in Denver’s rotation next year. White starred at FSU over four seasons from 2010-2014. During his senior season, he averaged 13.6 points, 6.8 rebounds, and 1.1 blocks per game and was selected to the ACC All-Defensive team. He went undrafted during the 2014 season and spent 2015 in Italy and 2016 in Greece. White broke in with the Miami Heat after two 10-day contracts and was signed to a deal through the end of the year. The Heat have him on a minimum deal for the upcoming 2017-2018 season. Douglas transferred to Florida State in 2005 from Arkansas but had to sit out a season before participating with his new team. He played for the Seminoles from 2006-09 and led the team to the NCAA Tournament during his senior season. Douglas averaged 21.5 points, 3.9 rebounds, and 2.9 assists per game while being named to the All-ACC First-Team and the All-ACC Defensive team. FSU lost in the first round of the tournament to Wisconsin. Still, he was drafted by the Los Angeles Lakers with the 29th pick in the 2009 NBA Draft before being traded to the New York Knicks. Douglas has spent time with the Rockets, Kings, Warriors, Heat, Pelicans, and most recently, the Memphis Grizzlies. He’s a free agent heading into the 2017 offseason. Thomas signed with the ‘Noles out of preparatory school in 2012. He played sparingly during his freshman season but became a key role player as a sophomore. 14.5 points, 4.2 rebounds, and 1.6 steals per game while helping FSU reach the NIT Semi-Finals. He only played six games during his junior season before withdrawing from school and declaring his intentions to go pro. Thomas went undrafted during the 2015 NBA Draft and has spent most of his career in the G-League. He currently plays for the Windy City Bulls and he averaged 14.4 points and 3.5 rebounds per game during the 2016-17 year. Whisnant played mostly a backup role for the Seminoles during 2012-2013 before transferring to East Carolina to finish his collegiate career. 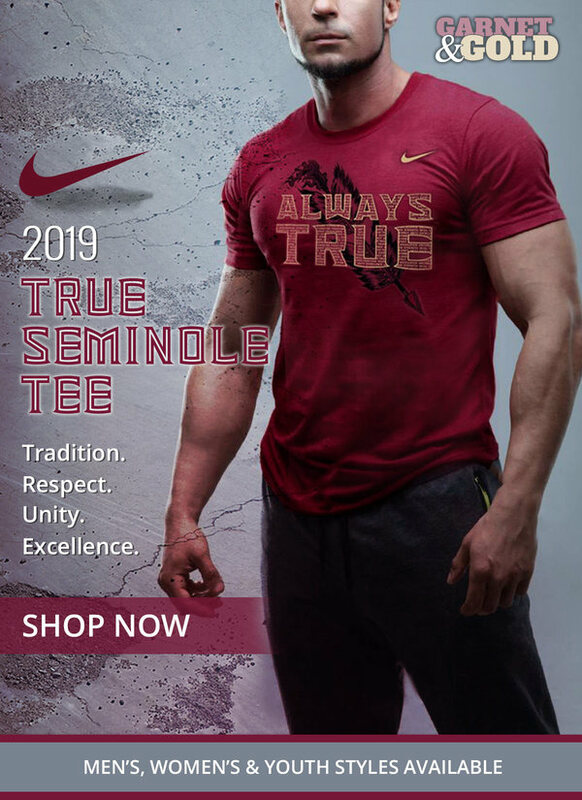 Normally, he wouldn’t be on this last, but he is one of the few players to ever win an ACC Championship at Florida State. He went undrafted during the 2016 NBA Draft and now plays for the Iowa Energy. Whisnant averaged 9.5 points and 3.4 rebounds during his rookie season. Wafer signed with FSU in 2003 and was a sparkplug scorer during his freshman season. He led the team in scoring as a sophomore and declared for the 2005 NBA Draft. Wafer was selected by the Los Angeles Lakers in the second round of the draft. He’s been a journeyman player throughout his career and has played for 7 different NBA teams. Wafer also spent 2012-2016 seasons playing in China. He recently resurfaced stateside in the G-League and averaged 14.5 points and 2.7 rebounds per game for the Westchester Knicks in 2016-17. Dulkys joined Florida State in 2008 and was a key sharp shooter and scorer during his four years in Tallahassee. As a senior, he scored 32 points while making 8 three-pointers in a blowout victory against UNC. He also helped the Seminoles win the ACC Championship in 2012. He has played professionally in Lithuania, Latvia, Poland, Turkey, Veneto, Galicia, and most recently in Spain for Obradoiro. Dulkys averaged 10.3 points and 2.6 assists last season. Miller elected to become a Seminole in the class of 2010 and played for FSU through 2014. He was also a player who was known to light it up from long range throughout his career. Miller hit a game-winning three-pointer against Virginia in 2011 as time expired and was a key contributor to the ACC Championship. Miller went undrafted and has played his career overseas. He’s played in Italy and most recently played in Kazakhstan for BK Astana. He led the team in scoring with 14.7 points and 3.8 assists. He has signed to play 2017-18 in Turkey for Usak. Gibson signed with FSU in 2008 and was another rotational player, and eventually a starter, during his time as a ‘Nole. He was an athletic shot blocker who could throw down some ferocious dunks. He averaged a career-high 6.8 points, 4.3 rebounds, and 1.3 blocks per game as a senior during the ACC Championship season. He went undrafted in 2012 but has enjoyed a career overseas where he’s played in Greece, Turkey, and Japan. Gibson currently plays for Osaka Evessa and he averaged a career-high 15.4 points and 6.6 rebounds. James didn’t take the typical route to college basketball. First, he joined the United States Air Force and served overseas. Then, he decided to go to Tallahassee Community College where he played two seasons before signing with Florida State. He averaged 10.8 points and 8.1 rebounds as a senior and was the big man down low in FSU’s stout defense. James was drafted in the second round by the Cleveland Cavaliers and was then traded to the Dallas Mavericks. He played with the Mavericks until 2015. Since, James has played in China, Turkey, and France. He only appeared in two games for CSP Limoges in 2016-17. Shannon played for the Seminoles from 2009-13 before transferring to VCU for his post-graduate season. He was mostly a backup but did show flashes at times. He was also a member of the 2012 ACC Championship team. He went undrafted in 2014 and has played overseas since. Shannon averaged 9.5 points and 6.5 rebounds per game last season for Fukushima. Kreft transferred into FSU after starting his career at Chipola. He was a rotational center across Florida State’s talented big man group and appeared in 60 games over his two years as a ‘Nole. The big man went undrafted in 2012 but has found success in the former D-League and overseas. Kreft last played for Hitech in 2017. Turpin also played at a JUCO College before signing with Florida State. He redshirted his first season, the season FSU won the ACC Championship, before playing in 2012-13. That season, he averaged 5.4 points and 3 rebounds. He missed the following season with an injury before returning in 2014-15 for his senior year. He went undrafted in 2015 and has played in Georgia and Kosovo. Turpin averaged 11 points and 4.5 rebounds in two appearances for KB Trepca in 2016-17. 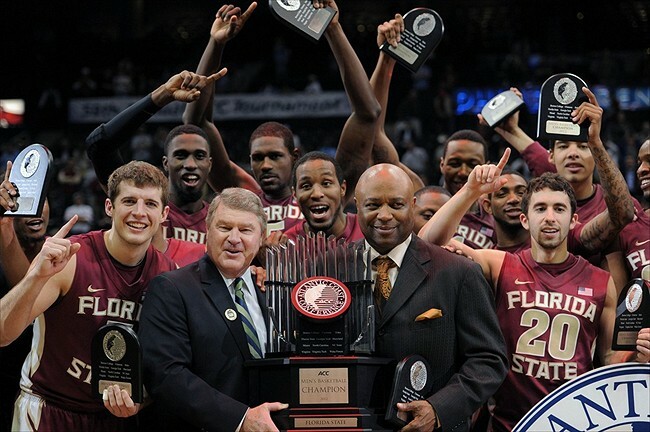 Part 2 of Florida State Basketball: ‘Noles in the Pros will be released tomorrow.